Volker Schlöndorff transported Bertolt Brecht's 1918 debut play to contemporary West Germany for this vicious experiment in adaptation, seldom seen for nearly half a century. 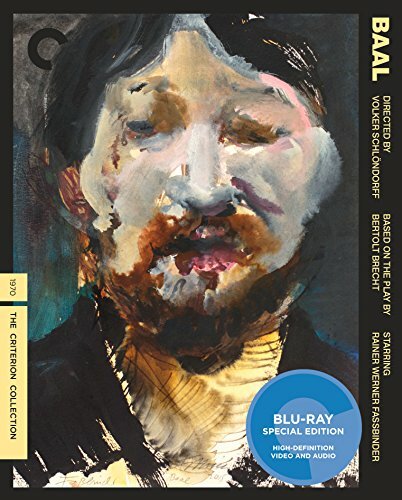 Oozing with brutish charisma, Rainer Werner Fassbinder embodies the eponymous anarchist poet, who feels himself cast out from bourgeois society and sets off on a schnapps-soaked rampage. Hewing faithfully to Brecht's text, Schlöndorff juxtaposes the theatricality of the prose with bare-bones, handheld 16 mm camera work, which gives immediacy to this savage story of rebellion. Featuring a supporting cast of Fassbinder's troupe of theater actors as well as Margarethe von Trotta, BAAL demonstrates the uncompromising nature of Schlöndorff's vision and forged a path for New German Cinema.